News and discussion of planetary probe proposals and funding. Lots of good international resources. 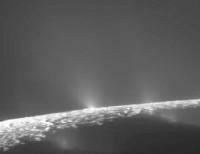 Recent focus is the JET (Journey to Enceladus and Titan) initiative. The author offers some insightful opinion on mission selection and the true cost of outer planet exploration. Opinion polls are also hosted around the planetary science community’s current Decadal Survey.